RANA loves to make remarkable memories with you EVERY FAMILY, EVERY DIWALI. Diwali, for Indians is a festival of highest magnitude. RANA’s Diwali, whoever has attended would agree that it is one of the most memorable event structured to the highest cadre We ensure that the event is inclusive, welcomes everyone and gives an opportunity for community to synchronise with our endowed festivity. The moment you step in the venue, there is an aura of merriment. This continues with an evening full of music, dance performances, Bollywood masti accompanied by finger-licking pure vegetarian snacks and dinner. § There will be performances from the best professional groups in Calgary as well as talent from within our community. § Finger-licking vegetarian dinner served hot, from the most admired Indian restaurant in Calgary. § Calgary's most popular Bollywood DJ. § Photo booth to capture beautiful memories for your family. § Opportunity for networking and connecting with your friends, and make some new ones. 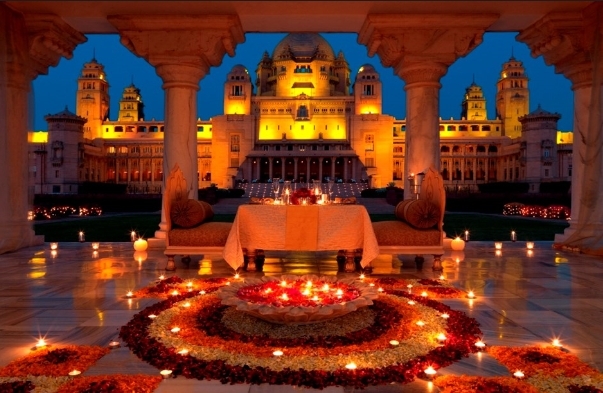 § In short, an evening that will make your Diwali, "The Most Memorable Diwali !!" in Calgary. We are excited to open the sale of our Diwali tickets from Saturday, October 1th from 8:00 am onwards until we reach to our max capacity or based on the discretion of RANA Board. Pay for your tickets and reserve your seats asap. Seats and table allocation will be on first come first serve basis. i.e. Early booking by making a payment will have a chance of seating in the front and your seat allocation will move backwards row by row as we progresses through our bookings with each passing day. We’ll start issuing e-tickets from Nov-10th onwards directly to your email, which you’ll have to produce as a hard copy. Tickets will have a unique barcode and will be scanned to permit the entry. a. RANA members- Login to your account and pay in a secured PayPal environment. b. Non-members are not required to create a profile or sign-in to the account. A payment can be made via PayPal link provided on our home page. 1. A ticket has to be purchased in advance as there will be no sale after 8 pm, October 20th, 2019. 2. Once purchased, tickets cannot be cancelled and are non-refundable. 3. This event is Non alcoholic. Any sort of alcohol beverages are neither served nor permitted. 4. You are treated as a RANA member in 2019, if you have paid $50 membership fees in 2019. In case of doubt, please contact us and we can confirm from our account tracking sheet. 5. We are no longer accepting any new membership for 2019. Please don’t send membership payment to avail members pricing. 6. If you have seniors (Age 60+) attending Diwali Milan, please let us know by email or write in description section of your payment. 7. Please forward this email information to your friends and family, if they are interested to attend. This event is open for all and we love the diversity. 8. Please like our Facebook page ’Rana Calgary’ for our upcoming announcements and updates. RANA loves to make incredible memories with EVERY FAMILY EVERY DIWALI…!! We Look forward to seeing you at RANA Diwali Milan 2019 and celebrating our biggest festival with you and your family.